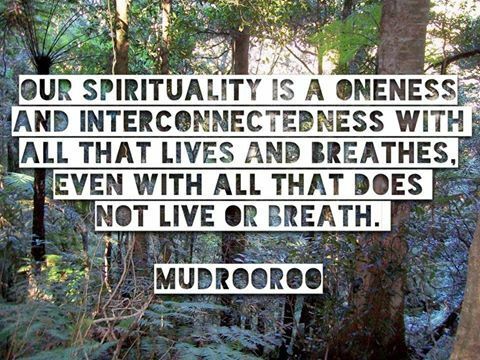 True spirituality is everything to all first nations people of the world, its our very essence of who we are, it brings knowledge & wisdom, lore & culture etc. It's this part of us that ties us to spirit, those ancestors, our creator, our spiritual guides who are near, they share that knowledge and wisdom with us if we only find time to sit and be quiet. Everything that we have is given to us from those in spirit, our interconnectedness ties us too all seen and unseen life around us, everything has a purpose and when we lose that purpose we become lost and sad. Religion has nothing to do with this, it is built upon mans desires and rules to suit and taught in institutions, ours is within nature and mother earth, its strong, it binds us all living things together in a symbiotic relationship.